KRAKOW’S Archbishop invited more than 300,000 young Catholics to speak the “language of the Gospel” at the commencement of the World Youth Day in Poland. 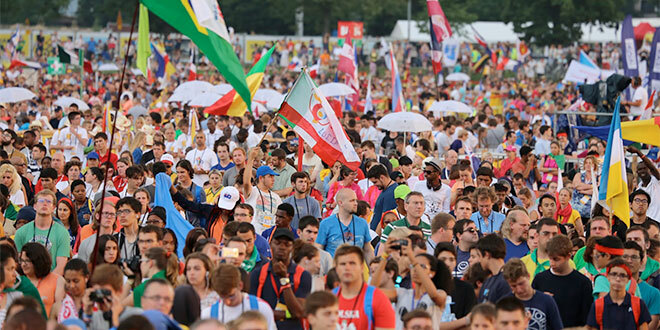 Cardinal Stanisław Dziwisz welcomed more than 300,000 pilgrims from across the globe to the hometown of the World Youth Day founder, Pope John Paul II, at an opening Mass on Tuesday, July 26. Before the Mass, the Cardinal greeted the pilgrims in Italian, English, French, German, Spanish, Portuguesse, Russian and Polish. “You bring with you many experiences, you bring many desires, you speak numerous languages, but starting today we are going to communicate with each other in the language of the Gospel,” Cardinal Dziwisz said. Pilgrims and accompanying clergy and religious prayed at Błonia Park, a site that has been previously visited by both Pope John Paul II and Pope Benedict XVI. Pope Francis made his presence at the large site on Thursday, July 28. Cardinal Dziwisz urged young Catholics to show the world that the Church wished “to live in peace”. “We would like to tell everyone that we wish to live in peace and we pray for peace in our turbulent world, we pray to stop violence and injustice, not to let anyone die of hunger,” he said. During his Homily, the Cardinal reminded the pilgrims that there were many young people who live in conflict and persecution. “Among us are young pilgrims from parts of the world that are ruled by violence and blind terrorism, and where authorities usurp power over man and nations, following insane ideologies,” he said. The Cardinal finished his Homily by challenging pilgrims to be open to the “mystery of Divine Mercy” shown to St Faustian and John Paul II. “Returning to your countries, homes and communities, carry the spark of mercy, reminding everyone that “blessed are the merciful, for they shall obtain mercy” (Mt 5:7),” Cardinal Dziwisz said.